Value propositions are a fundamental part of business strategy. When done well, they communicate a meaningful promise to a specific customer type and provide guidance to various departments across the organization. However, value propositions often fail to realize their potential for six reasons. These reasons appear more often in complex organizations with multiple products and/or customer types, but they can surface in any business. 1. Product- or company-centric instead of customer centric value propositions. Without clear customer segmentation, the only way to craft a value proposition is to talk about yourself – which is typically less relevant and motivating than a customer benefit. This error is especially endemic to companies who serve many different types of customers and have trouble finding the common denominator. Additionally, product-centric value propositions are often not terribly inspiring, and we need inspiration now more than ever. Purpose, meaning, inspiration, emotion… these are all strongly linked to customer and employee loyalty. Let's look at Opera's value proposition; what a snoozer. Uninspiring and undifferentiated with zero customer benefits. Wait! You might say. Aren’t “fast, secure, and easy to use” all customer benefits? No. They’re not. They are features of the product, and the company leaves it up to the viewer to infer what benefit that has to them. Perhaps this is why Opera is one of the least-used browsers. Secure, easy to use, simple... these are all tablestakes. Customers expect them. If your product or service isn't secure, simple and easy to use, you might as well go home. Now, if you focus on the related outcome or benefit to the customer (feeling in control or empowered), you can run with that. By comparison, LinkedIn’s promise of “connect(ing) the world’s professionals to make them more productive and successful” is clearly anchored on the value to the customer: productivity and success. It’s aspirational and motivating to not only customers, but employees as well. 2. Value propositions that don’t factor in the exponentially changing environment. Technology is evolving rapidly. New competitors are disrupting markets. Customer expectations are rising. Successful value propositions must be anchored on what doesn’tchange in order to carve out and own a unique territory for your brand over time, and not subject your stakeholders to whiplash. This is fundamentally about frame of reference -- how do you define your business? Are you a railroad company, or a transportation company? The former will become obsolete; the latter will not. A Google search of “we are the leading…” produced a billion hits, many of them “we are the leading (xyz kind of company):" an undifferentiated promise that constrains your business. This error is highly related to #1 as it’s company-focused rather than customer- or outcome-focused, but important enough to call out separately. 3. Fragmented value propositions due to internal silos. In a more complex organization, product teams often develop their own value proposition… which is rationalized because each product (and therefore the feature/benefit set) is different. However, when multiple products are sold to the same customer (more often than not) it creates inefficiencies internally and confusion externally. Let’s look at how fragmented (and unfocused, #4) Cisco’s value propositions are. Each product-centric business unit produces their own value proposition, despite the fact that many of Cisco’s customers buy across the portfolio. There’s no connective tissue other than some overlap with simplicity and security, but as mentioned earlier, these are tablestake features, not differentiated benefits. 4. Value propositions that aren’t laser-focused. A value proposition needs to align against one very clear customer benefit or outcome. This is critical at the corporate level, since every department, product, business unit and experience must deliver on that promise. 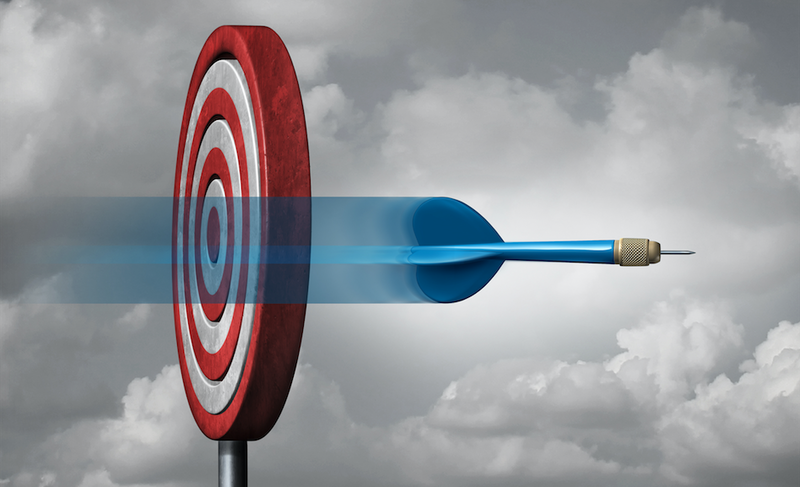 Multiple customer outcomes mean multiple targets to hit. What is the real goal to deliver on as a company, not a business unit? Looking at Cisco’s fragmented and unfocused value propositions, are teams supposed to deliver on improving productivity, helping customers feel more secure, or more in control? Or perhaps make progress together? Believe it or not, it is possible to anchor the promises of multiple business units on a single promise if they sell to the same customer. For fun, let's think of an example: Cisco could leverage one of John Chamber's sayings, "We help you see around corners," tapping into every customer's and partner's need for feeling confident today and in the future. Each product/BU's specific value propositions could be anchored by this type of corporate-level promise to knit together a coherent story for customers, employees, and partners. What should you do if your company serves very different customer profiles (ie. personas)? Start thinking in terms of brand portfolios and stop trying to be all things to all people. 5. Value propositions that are not applied to the entire value ecosystem. Again, for complex businesses, the value proposition must be delivered throughout the ecosystem, which includes partner organizations. If, for example, your value proposition includes a values-based component sustainability or CSR, then it must be supported by your entire value chain. Or if you sell a product through resellers, those resellers must support and ideally embody what you stand for. Nike is well known for orchestrating its entire ecosystem to deliver on 'inspiration and innovation for athletes.' Or, continuing the Cisco example, the "helping you see around corners" value proposition could be applied to partner selection and training regardless of product. 6. Value propositions that don’t mirror the internal culture. If you’re promising to make customers feel valued, for example, but you don’t embody a culture of recognition, your promise won’t be authentic. What is promised externally must be lived and breathed internally. Our increasingly transparent culture will reveal the lack of alignment. This is clearly not a culture that promotes earning lifelong customer relationships. In the next post, we’ll cover a solution to these challenges: The Value Platform.